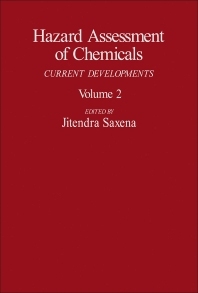 Hazard Assessment of Chemicals: Current Developments, Volume 2 contains authoritative articles, which provide a comprehensive review and evaluation of important information on chemical spills, and presents case studies that show the applications of methods and approaches to environmental and health hazard assessment of chemicals. The book is comprised of five subject reviews and two case studies of chemical spills. Experts tackle subjects on the use of simulation models to determine pollutant behavior and pollutant migration; use of microcosms to assess chemical effects on the properties of aquatic ecosystems; and metabolism and disposition of potentially hazardous chemicals in maternal-embryonic/fetal systems. Epidemiological approaches to chemical hazard assessment and a review of The National Toxicology Program (NTP) in the Department of Health and Human Services are also presented. Environmentalists, ecologists, toxicologists, public safety officers and workers, and those concerned with the health effects of chemical agents in the environment will find this text invaluable.